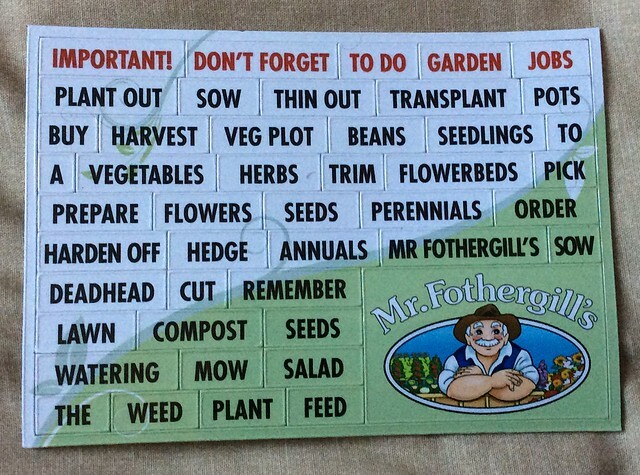 Mr. Fothergill’s have asked me to trial their new and exclusive seed varieties next year, and the packets have just arrived. 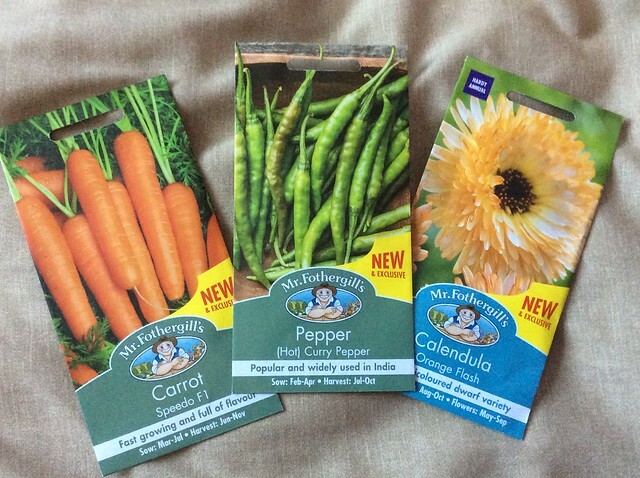 In terms of edibles, they are Carrot ‘Speedo F1’, Pepper ‘(Hot) Curry Pepper’ and Calendula ‘Orange Flash’. Ryan really loves carrots, and so far I haven’t grown a decent crop for him (he’s had one carrot from the garden this year…), so we’ll happily have another bash at that next year. I have 2 calendula plants in the garden this year, and would love more next year, so those can find a place as well. I will have to find a victim volunteer to grow the hot peppers, though, because we don’t eat them. And there are purely ornamental varieties as well, which I will take to mum and dad and see how they get on with them. 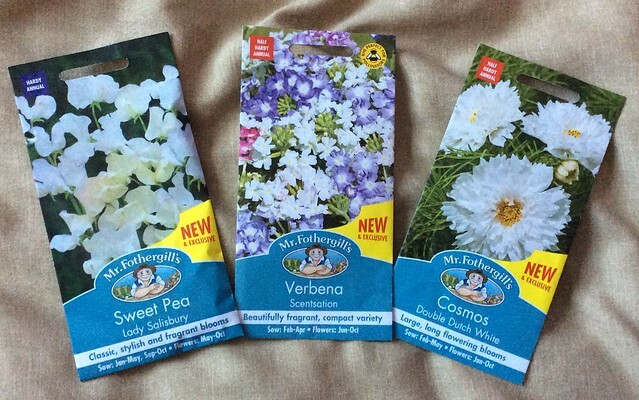 What do you think – will any of these varieties make it onto your wish list for next year?